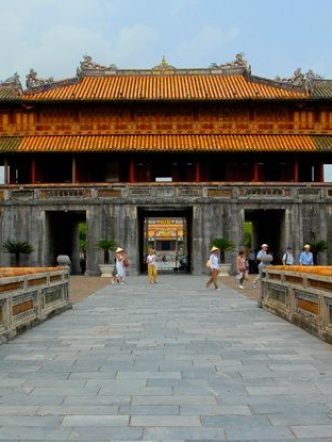 This 2 days tour Da Nang to Hue city to discover deeply the traditional and heritage of imperial Hue, the World cultural heritage of Hue, visit Royal tombs of Emperor, imperial citadel and historical site and peaceful atmosphere of local life. 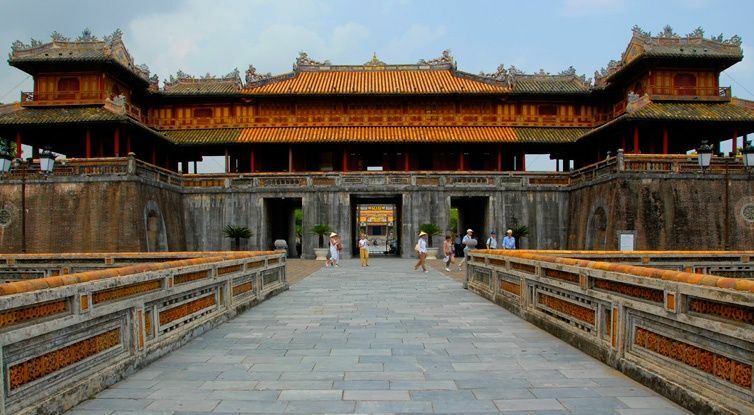 Explore Hue citadel – the world cultural heritage site, with emperors’ tombs, the citadel.. 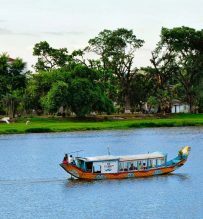 Relax boat trip on Perfume river, see the peaceful scenery and daily life of local people. 8.00. Pick up at hotel in Da Nang, depart to Hue (2.5 hours land transfer), on the way to stop for sightseeing the high mountain pass of Hai Van; Lang Co beach; the lagoon far below with Da Nang spread out. 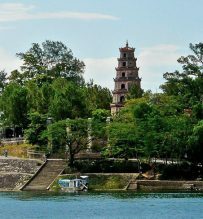 On arrival in Hue, start driving to visit the tomb of Nguyen Emperors – Minh Mang tomb, in a tranquil setting of gardens and lakes and tomb of Khai Dinh, a blend of Western and Eastern architecture. 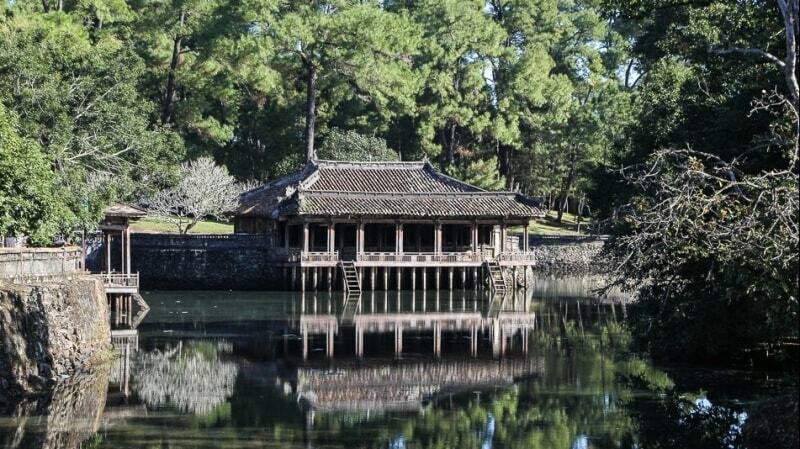 Then return to the city to have lunch at a typical Garden House restaurant. 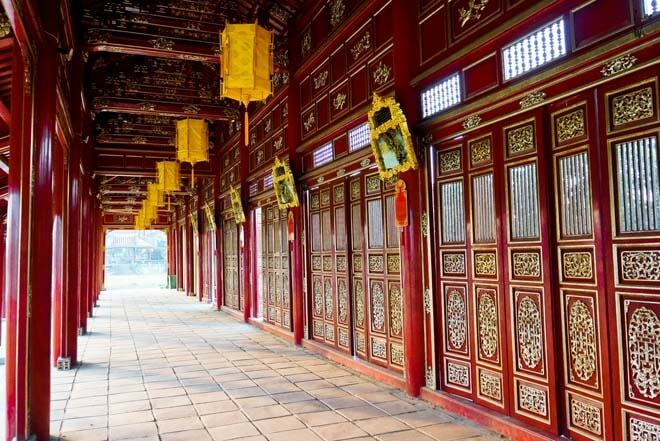 Afternoon, go on to visit the Imperial Citadel with the Flag Tower, Ngo Mon Gate, Nine Dynastic Urns, Nine Holy Cannons, Thai Hoa Palace, Forbidden Purple City (Tu Cam Thanh).. Continue to visit Dong Ba market. 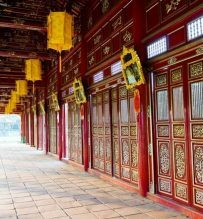 Your optional for joining a Royal traditional music performance on Dragon boat sailing along the Perfume River (Hue royal music also recognized as Cultural World Heritage). 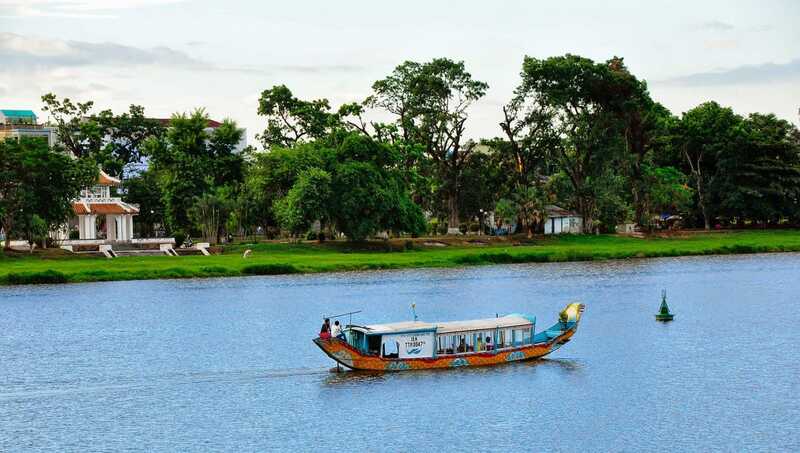 This morning you board a dragon boat for a cruise on the Perfume River giving you a taste of the scenic countryside, as well as an enjoyable stop on Hen Islet to learn about the daily life of local people in one of the most traditional parts of Central Vietnam. 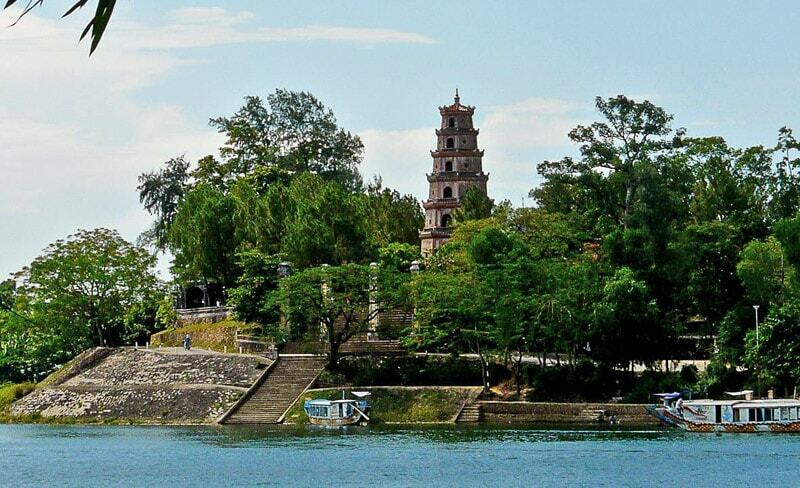 Continue to Thien Mu Pagoda, situated on Ha Khe hill, on the north bank of the Perfume River. 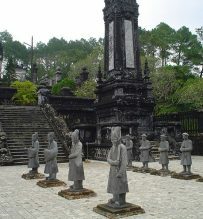 The pagoda features a seven successive tiers, each of which is dedicated to a human form taken by the Buddha. 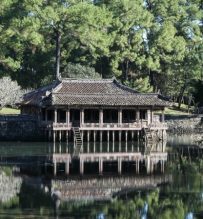 Then, drive to the Tomb of Emperor Tu Duc, the final resting place of Vietnam longest reigning emperor, set among forested hills and lakes. On the way back to Hue, stop to visit an incense-making village and hat-making village to learn more about traditional handicraft of local people. Check out your hotel and have lunch at restaurant before driving back to Da Nang. End the tour at your hotel around 17.00. 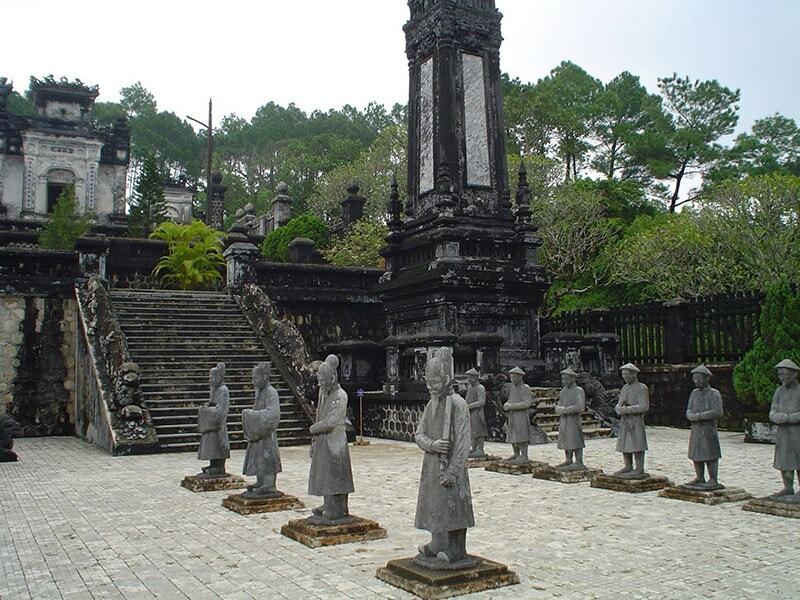 PRIVATE TOUR Da Nang – Hue 2 days 1 night. Optional for Hue Royal music performance: $5/person.